With the advent of social media such as the likes of facebook and twitter, this can provide great opportunity to promote your site to new potential members. Worldwide, facebook currently have close to 1.9 billion users active every month. Users talking to each other, and sharing interests at an unprecedented speed. 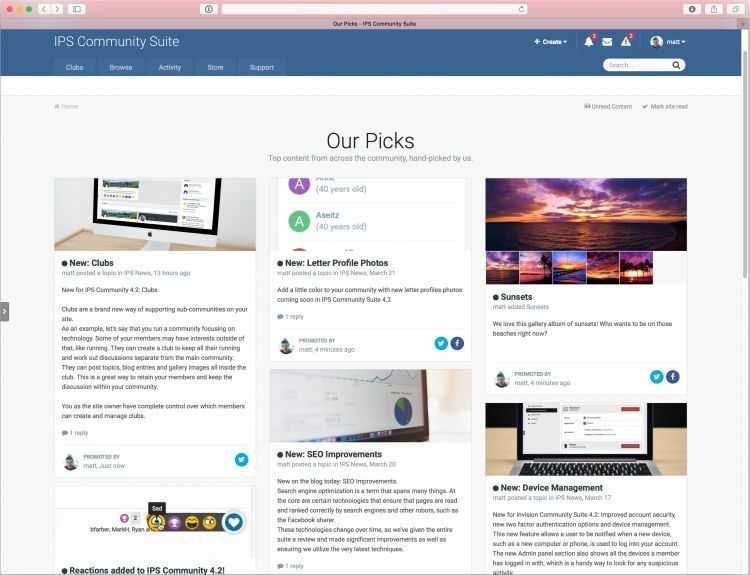 Within the Invision Community application, we provide the tools you need to take advantage of the marketing opportunities that this can provide for you and your site, by the use of social promotion of content, straight to your facebook page, group, or twitter feeds. Already have facebook login set up? 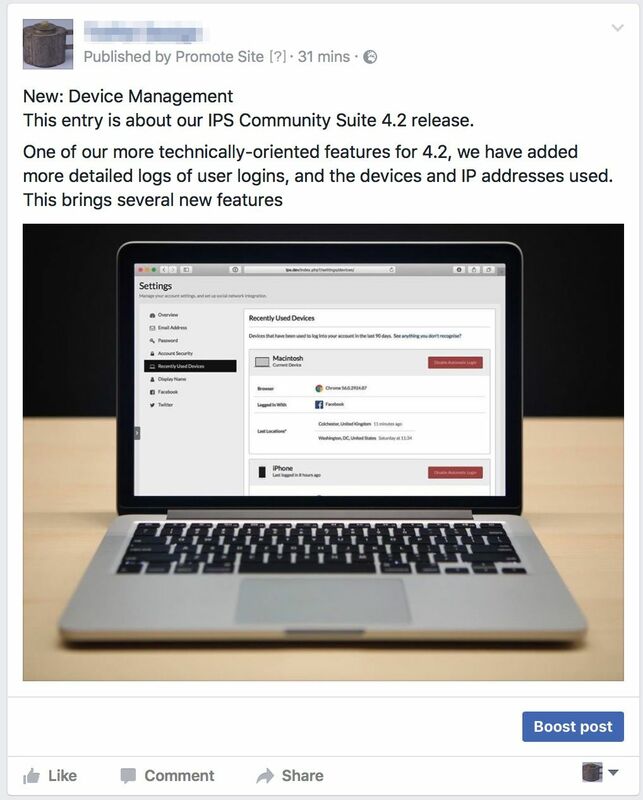 In order to add permissions to a facebook application for the promoting of items, you have to have your application in developer mode. If you are happy to do this, then you can switch your facebook application to developer mode, and add the permissions as described in the facebook guide. However, this will prevent anyone from using facebook login while you set these up. In this scenario, you have 2 options. Option 1 would be to set up a test application. Within your facebook developer area, select your application, then select the dropdown in the top right. Here you can select 'Create Test App'. Option 2 would be to set up a completely new application, which you would do in the same manner of as you did originally. After setting up facebook promotion, you can then choose to promote to one or more groups or pages on facebook, by ticking the relevant boxes. Here we have chosen to submit to the 'Dragons' group. As with the facebook item, selecting the 'Twitter Promotion' tab will first of all prompt you to set up a twitter login, if you havent already. Please see the following guide for information on how to set up a twitter application. When promoting to twitter, you can set up as many hashtags to be sent alongside your promoted content as you wish. Due to the limitation on text you can use on a tweet, you can select what to do in the scenario that your limit is used. To reduce space on your promotions, you can optionally make use of the external provider bitly, to shorten your links. In order to do this, you would need to set up a bitly account, and enter the access token for this. Setting up this would give you shortened URLs on promotion. For example https://bit.ly/2IizDkN , which is a shortened link for our own site here. When you are promoting content, you may not necessarily want content to be sent straight away, but instead always sent on schedules of your choosing. For example, many will send at times such as 13:10 as people will have just gone on lunch (so will be checking their social media). 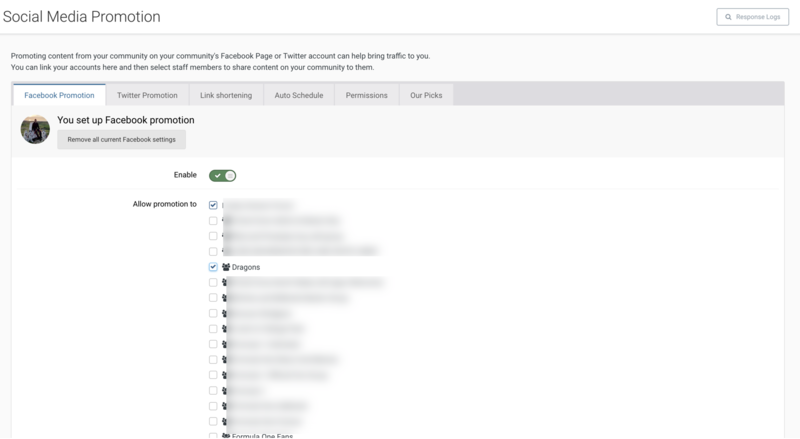 You can set up automatic schedule times from the Auto Schedule tab, which can then be used when promoting content. 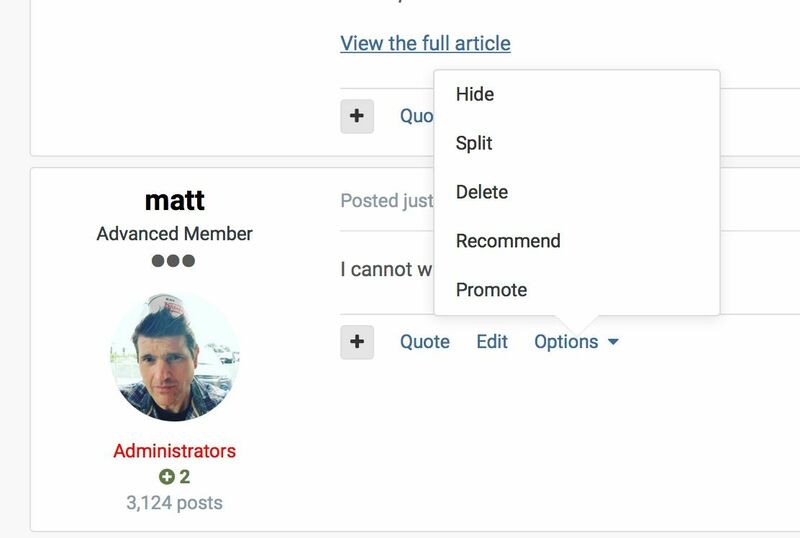 Permissions for promoting content can be set up on a group by group basis, by checking the selection box within the groups you wish to allow to promote. You can read more about editing group settings within our group settings guide. However there will be times where you wish to add an individual to be able to promote. This can be done from the permissions tab within the promotion section, by adding the name of the person(s). On the final tab, you can switch on the 'Our Pick' option. This is an internal promotion, that will promote to the 'Our Picks' page, as seen below. Additionally, there is a block in which will show these, which you can select from the block manager, and place anywhere you wish on your site. Each item such as topic, gallery album, blog entry etc, has its own Promote button. You can see this in the top left of the page. Selecting this would allow you to promote to any of the items you have set up for social promotion, such as facebook, twitter, or my picks. Once one of these buttons has been selected, you will be shown the promote page, where you will be given a preview of what is to be shared. From here you can customise the text that you are sharing if you wish to do so, along with upload new images for sharing with this. The system is smart enough to add images from the post automatically, so these can also be selected for use. Once you are done, you can either promote the item using the promote button, or can change the schedule for when this will be promoted. 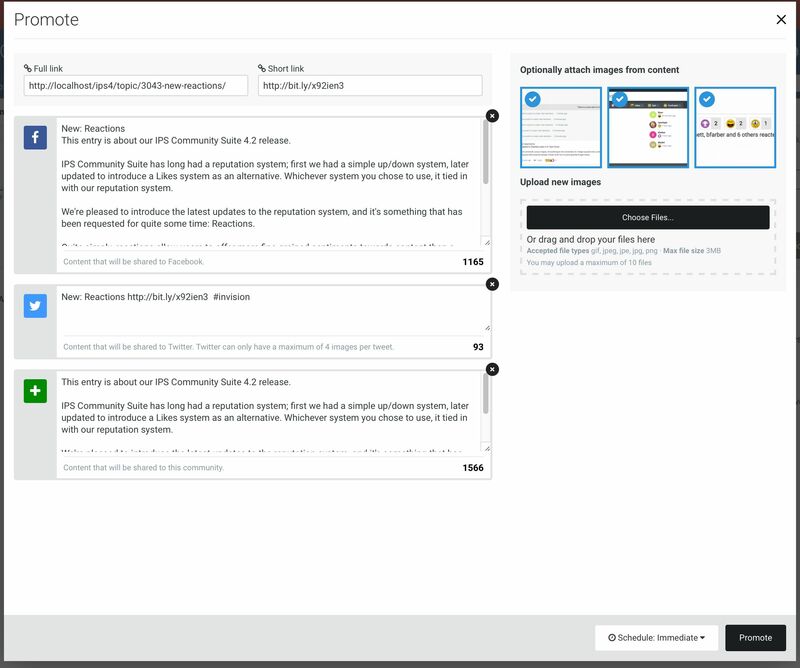 The auto schedule will use the times set up within your AdminCP in the Social Media Promotions setting. Once promoted, you will then see this in the platforms you have chosen, as per below example.